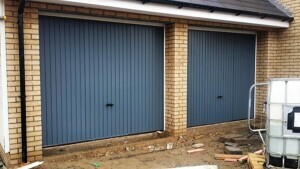 These grey and black up and over steel ‘Thornby’ design garage doors are manufactured by Novoferm. 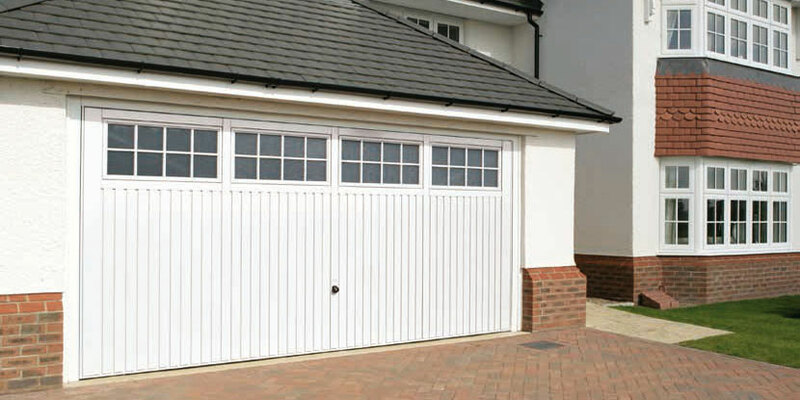 The garage doors are produced from a premium grade galvanised steel and are corrosion resistant. They can be made in a number of colours with a black Euro handle fitted as standard. 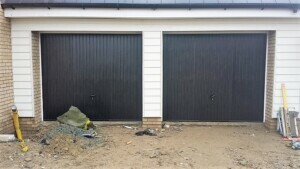 These doors can be made to measure so no need for any nasty plastic infill.